Pear Deck was founded by educators on a mission to help teachers engage every student, every day. 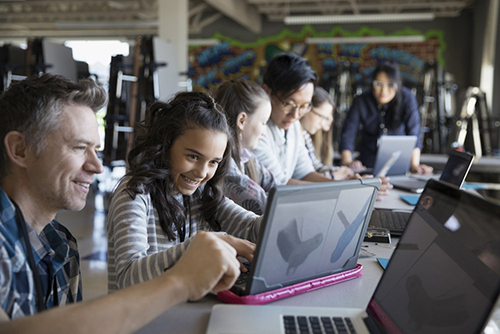 With solutions rooted in active learning and formative assessment, we make it easy for you to connect with learners of every age and ability. When that happens, more students participate and learn, classroom community improves, and you'll know you're making a difference. Pear Deck is built to work with G Suite for Education. Even better, Pear Deck is 100% web based and device agnostic—no downloads or updates required. Teachers and students log into Pear Deck with their Gmail address, files are auto-saved in Drive, and everything is integrated with Google Classroom. In short, Pear Deck is a perfect match for schools using G Suite. Transform presentations into classroom conversations with an array of interactive and formative assessment questions. With Pear Deck, every learner engages with the interactive activity on his or her own screen, and knows their response will be seen by the teacher, but anonymous to the rest of the class. Pear Deck Vocabulary was designed to transform the way students engage with vocabulary. When you play Pear Deck's Flashcard Factory students pair up and work together to create dynamic and engaging flashcards. Students collaborate to illustrate and define terms making learning vocab an active and social experience!